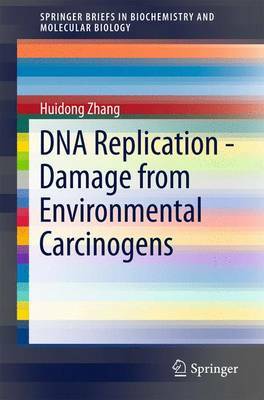 This book reviews the main concepts concerning DNA damage due to environmental carcinogens, the effects of DNA damage on DNA replication using a single DNA polymerase or DNA replisome, and the effects of carcinogens on various cell activities. It also introduces the detailed protocols for bypassing DNA damage. As we know, various environmental carcinogens are produced as a result of industry, agriculture, chemical engineering and vehicle exhaust in our daily life. It has been reported that the environmental carcinogens can be connected to tumors and cancer, directly threatening human health. In this regard, DNA replication is highly susceptible to damage. This book provides graduate students and researchers with an overview of the effects of environmental carcinogens on DNA replication and biological activities in cells. It offers important information for research in the areas of biochemistry, cell biology, medicine, toxicology and public health.